At Canadian Photo Adventures, we are thrilled to introduce participants of one of our Canadian photography tours to the Jasper Dark Sky Festival, an event that takes place every year in Jasper, AB. The Jasper Dark Sky Festival is a celebration of one of the largest dark sky preserves in the world. The experience itself is once in a lifetime, and when you go on our Canadian photography tour, you will never forget it. 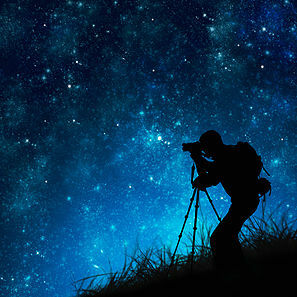 We will teach you night photography skills so you can capture the stunning night sky’s celestial beauty forever. the Rocky Mountaineer to celebrate its dark sky preserve status. Jasper National Park is 10,878 sq km of wilderness, making it the largest national park in the Canadian Rockies. It is located in Alberta and features such beautiful sights as glaciers, hot springs, lakes, mountains, and waterfalls. Over two million visitors have enjoyed the majestic beauty of Jasper National Park. If you are interested in night photography, this is the ideal photography adventure for you. During our two day Jasper photography tour, we will teach you the techniques and skills you need, then take you out to try them out yourself! There is no better way to practice your night photography skills than in a gorgeous dark sky preserve where you can see the night sky in its purest form. Night photography is notoriously difficult to master, but our guides have the experience and knowledge necessary to help you. Contact Canadian Photo Adventures today to learn more about our Canadian photography tours, and see more about our Jasper Dark Sky Festival photography tour here.